Rent villas in Crevillent, Spain. 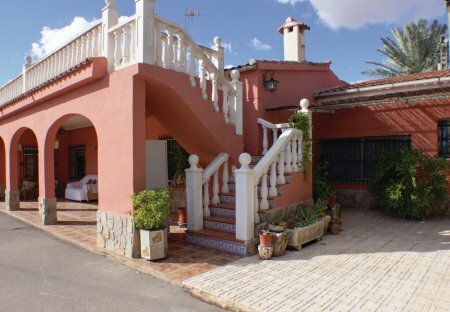 This large holiday home with 4 rooms is the ideal place for a relaxing holiday in Spain. You can take a dip in the private pool. This three bedroom holiday home is wonderfully equipped for a relaxing holiday. It has been thoughtfully decorated and furnished with an array of modern amenities and includes a large window. This spacious house offers plenty of space for the whole family. Children can play and have fun in the spacious garden. In the Sierra de Crevillente you will find this cozy holiday home, just 3 km from the village of Crevillente. In the mountains. 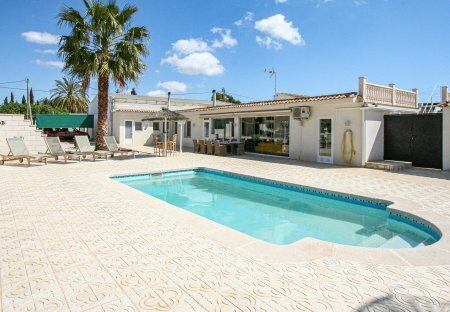 This fantastic holiday house is located in a settlement outside the city centre. Beautiful cacti, which are typical of the area adorn the entrance and the garden. This property has 6 bedrooms.